Posted on September 7, 2011, in Writing and tagged fiction, short story, story planning. Bookmark the permalink. 4 Comments. This sounds like a plan for something longer than a short story!!! You never know. I’m very interested to see just where the story takes you. The fact that you are documenting it will almost be like unravelling a ball of string. When you’ve finished you can retrace your steps and see just how its evolved from your original concept. Am using a timeline myself in a WIP story and I can’t tell you how many times I’ve amended it so far and I’m not finished yet. The dynamics of age especially between siblings is very important and can make all the difference in characters. Good luck and I’ll be glued to progress. I’m looking forward to comparing the finished product with the plan too. 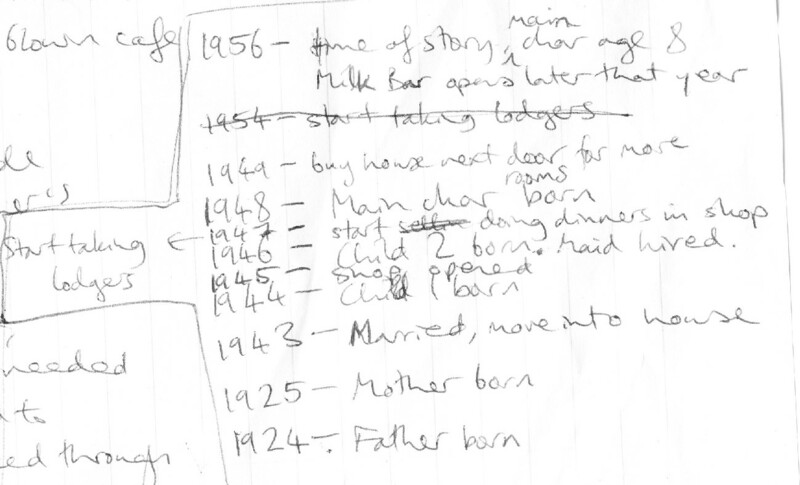 Good point about the dynamics of age between siblings, I’m working on my timeline now, it can be tricky. Thanks for commenting Derbhile. You’re absolutely right, the house is central to the story and it has characteristics just like a character – chaotic, rambling, disorganised etc. I hope to get across the idea that it influences every aspect of the characters’ lives. 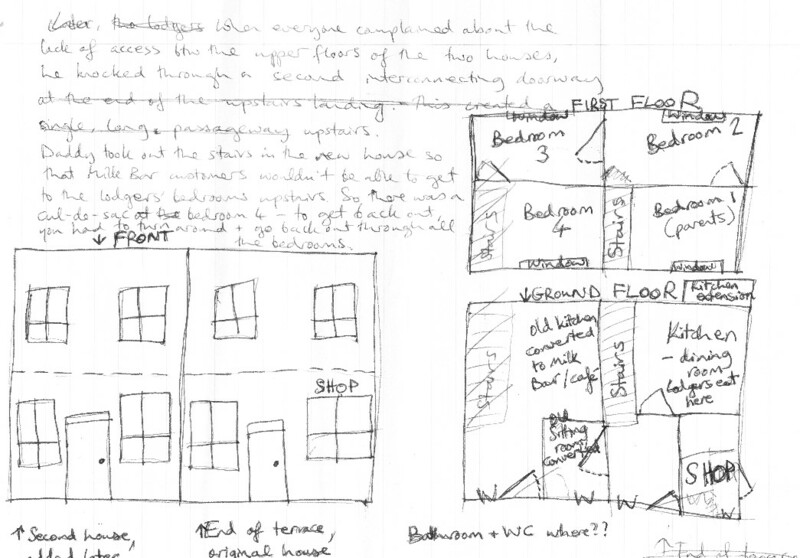 Interesting that you’ve started with place – like the house is another character in a story. You seem quite methodical in your approach too.